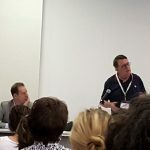 It is with great sadness that we announce that our dear friend and sensory colleague Pieter Punter, founding Dutch representative of E3S, has passed away. He will be missed by all. Pieter was a founder member of E3S, and was serving on the board of the organization at the time of his death. He has been an integral backbone of E3S since its inception and took care of the organization of the 2016 edition of the E3S workshop in Vlaardingen. He was also a dear colleague and friend and we will always remember his unwavering positive attitude and smile. All our thoughts are with his family and relatives. E3S will honor Pieter’s memory during the next workshop that will be held in Paris on 9th and 10th of May. 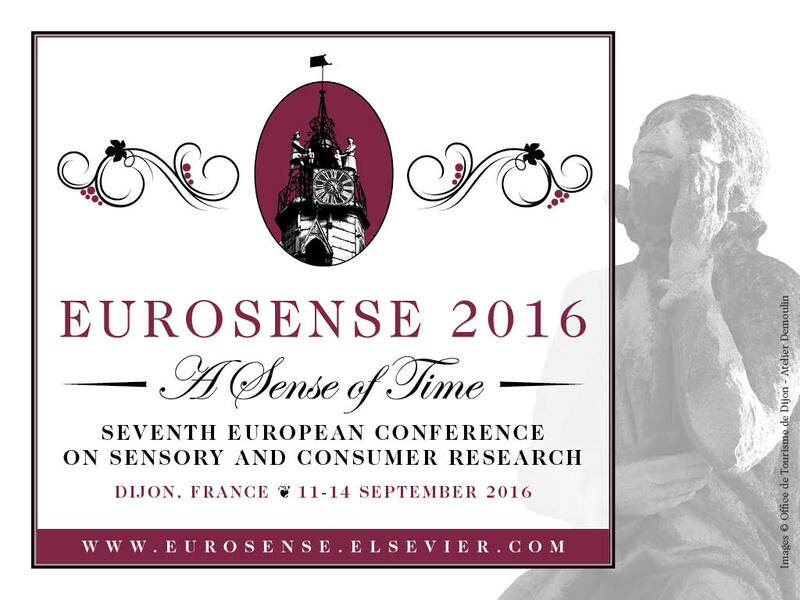 The European Sensory Science Society was present at Eurosense with many activities. WG PDO seminar will be held at AGROSUP in Dijon on September 14th in the afternoon, after the Eurosense Conference. REGISTRATIONS: to register please contact mariozan@ocqpr.it. The Italian Sensory Science Society is pleased to announce the sixth SISS National Conference organised in collaboration with Università di Bologna – DISTAL. Abstracts should be no longer than 300 words on the above-mentioned topics. The course is taught by Dr. Daniel Ennis, Dr. Benoit Rousseau, and Dr. John Ennis with invited speakers: Frank Rossi of PepsiCo and Anthony (Manny) Manuele of MillerCoors. Course information and online registration: http://ifpress.com/short-courses/ or call +1-804-675-2980. For the multiple registration and member discount, please contact Susan Longest at mail@ifpress.com. Cost: $1975 US; 20% discount applied to each additional registrant from the same company when registered at the same time, Academic discount available. A discount of $50 US will be offered to members of E3S upon request. Food research – food, beverages. Hospitality – services. 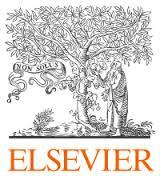 To have the opportunity to publish their papers as proceedings in the journal Menu: Journal of Food and Hospitality Research. This workshop is an opportunity for scientific exchanges between PhD students from various universities and senior researchers. This workshop represents for each participant an outstanding opportunity to increase his/her knowledge on the current hot-topics of food and hospitality research questions. From a methodological point of view, the variety of presented approaches will be useful to students on the theoretical framework to address their research problem. Participants will have the opportunity to train for oral communication and self- presentation. In addition, participants will endorse successively the roles of author and reviewer as they will be asked to review the paper of another participant. in the eld of sensory and consumer analysis. The course will cover principles and foundations for sensory evaluation and consumer research including food perception, food choice and acceptance. The course will also cover genetic aspects in olfaction and taste and how these factors in uence consumer preferences. Furthermore, emphasis will be given on analysis of sensory and consumer data. The course is primarily open for European PhD students but non-European students are also welcomed. Deadline for application: 3 August 2016. Deadline for payment (only after acceptance): 5 September 2016. Part I: E-learning module between 19 and 30 September 2016. Part II: Intensive course in Copenhagen, Denmark and Kristianstad, Sweden 18 – 21 October 2016. Registration will take place in Copenhagen 18 October in the morning. Part III: Preparation of report, October 2016 – January 2017. Place: Salón de Actos de la Facultad de Ciencias, Universidad de Burgos (Burgos). Who Should Attend? This course is intended for professionals who work in sensory evaluation or are involved in product development. Theory: Introduction to the Sensory Analysis and applications. Sensory attributes perception. The physiology of the human senses. Psychological factors. Methodological aspects: Test room, tasters, samples preparation and presentation, the score sheet. Sensory tests: overall difference tests, attribute difference tests and descriptive analysis techniques. The panel. Descriptive sensory analysis of fresh vegetables: the work of Fundació Miquel Agustí. Consumer sensory analysis. Affective tests. Habits and socio-economic aspects surveys. Relationship between analytic sensory data and consumer data. Statistical methods. Practice: Triangle test and simple ranking test: methodology, calculation and interpretation of the results. Generation of descriptors to produce the sensory profile of a product. Discussion and training. Descriptive sensory analysis test. Descriptive sensory analysis results: Analysis of variance and Multiple-comparison tests. Product sensory analysis: the case of chocolate and honey. In this two-day course you will learn the basic principles underlying the use of all sensory testing methodologies and how to best interpret the data they generate. You will understand the five concepts critical to any successful sensory discrimination testing program, including statistical power and consumer relevance. Through the use of a common framework, you will also discover why the tetrad test is a better alternative to the commonly used triangle and duo-trio methodologies and how you can successfully make the switch for internal and consumer-based testing purposes. This program qualifies for Certified Food Scientist (CFS) recertification contact hours (CH). CFS Certificants may claim 16 CH for their participation in this program. A series of talks by international scientists from various disciplines will address the most recent scientific advances in the understanding of eating and aging, from the food perspective as well as from the individual one and the meal context. The applied perspectives will be considered as well to illustrate the development of new food and food service offers or new services to the ageing population.